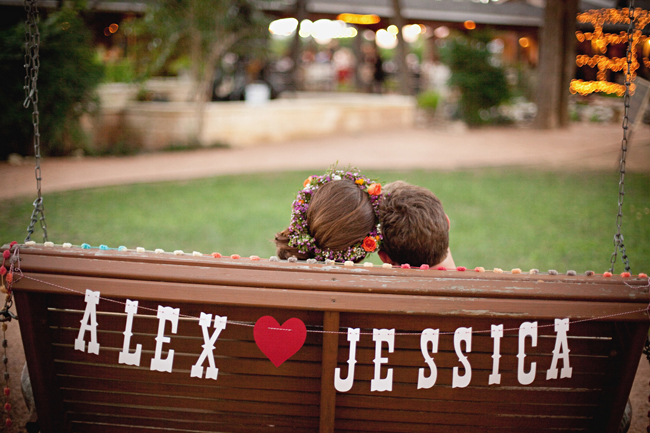 Jessica and Alex met in the fourth grade, but didn’t start dating until after college. We think it’s pretty sweet that they were friends for so long! 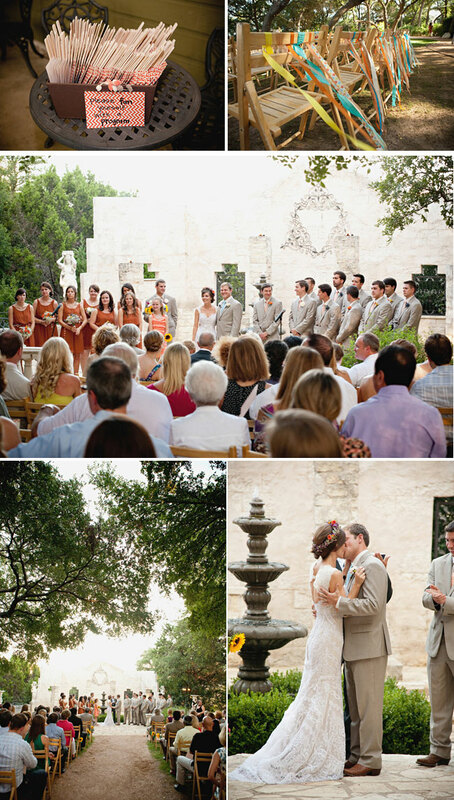 Their outdoor wedding in Texas was absolutely breath-taking. The European charm of the venue, along with an orange color scheme throughout the day, weaved a fantastic visual story. We love the pom poms and ribbons that they used in the ceremony, reception, and even in bridal party belt attire! OMGosh, I love her wedding gown! My favorite moment, possibly from any wedding, was while they were praying. Easily the most intimate couple of minutes of all time. Congratulations again guys. All the best to you both. Jessica and Alex were a dream to work with! 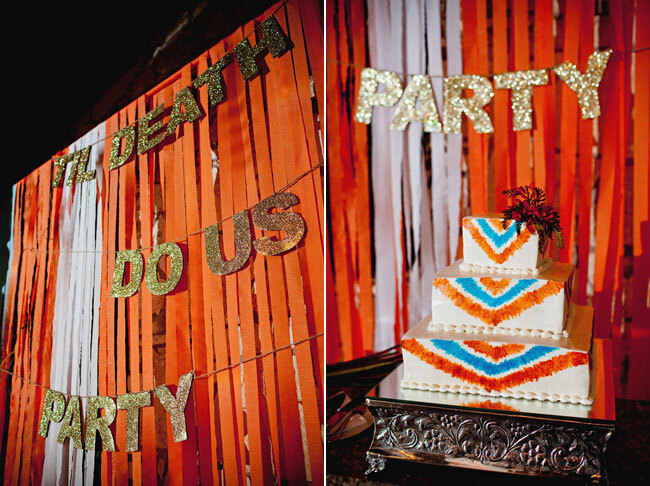 Thank you for featuring their oh-so-fun wedding! Hooray for Modcloth! The bridesmaid dresses look great and I love the bride’s lace gown! That rustic orange is so pretty! 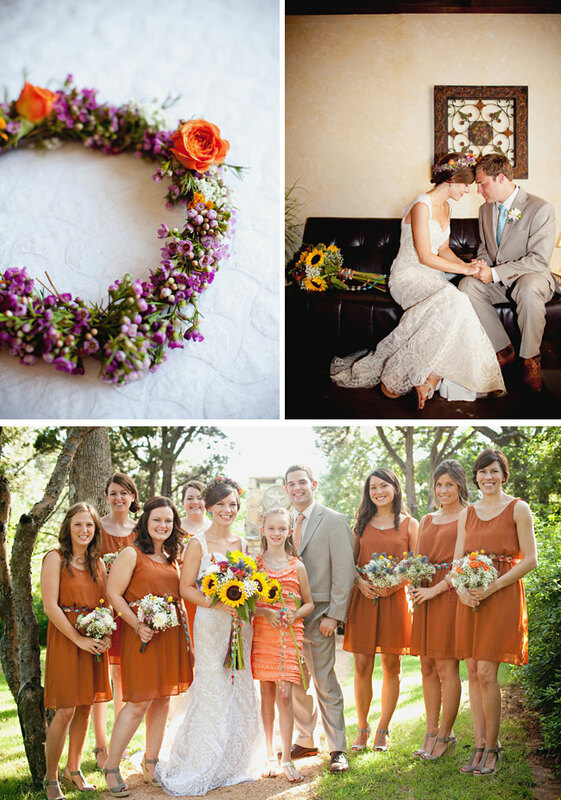 I am loving all of the burnt color details in this wedding! so lovely!